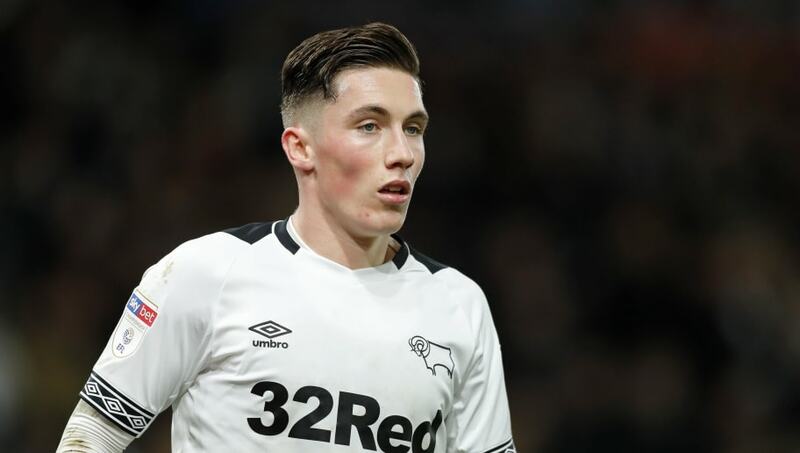 ​Liverpool fans on social media want the club to recall Harry Wilson from his loan spell at Derby County after his excellent form continued in the FA Cup on Wednesday. Wilson inspired Derby to come from two goals down against Southampton, first scoring with a free kick from outside the box and then providing a perfect cross for Martyn Waghorn to level the scores with a header. The Rams won on penalties. Wilson's goal was his 11th of the season, his eighth from outside the box and his fifth free kick. He is clearly a very exciting young talent and plenty of ​Liverpool supporters want to see him back at Anfield. Welsh Torres, come back home! Wilson has been on Liverpool's books since the age of eight, but his only senior appearance for the Reds came against Plymouth Argyle in an FA Cup replay in 2017, when he replaced Philippe Coutinho in the 65th minute. He scored seven goals in 13 league appearances during a loan spell at Hull last season, which convinced Derby manager Frank Lampard to make Wilson one of his first signings after taking over at Pride Park last summer. His goal on Wednesday was the second time he has scored against Premier League opposition this season, having found the net against ​Manchester United - also with a free kick - in the Carabao Cup in September. However, Liverpool are fine without Wilson, and he would stand no chance of breaking into their front four ahead of Sadio Mane, Roberto Firmino, ​Mohamed Salah or Xherdan Shaqiri. Letting him stay at Derby until the end of the season to help with their promotion challenge is the best choice for his development, but it will be interesting to see where he ends up next season.